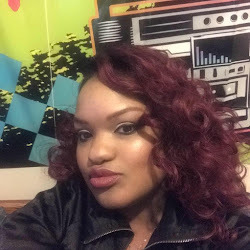 Ms. Tra` "That Gem" take on Lady GaGa, Nicki Minaj and just TV! There is a New Carrie Bradshaw!!! What's up Diamond and Gents! Yep! You read right there is a new Carrie Bradshaw coming. I don't know if I'll be tuned in. But, The Carrie Diaries will be hitting The CW this fall. It will be based on books written by Candace Bushnell. I hope I got girlfriend name right. But, anyhow they will be catching the earlier years of Carrie Bradshaw. Starting at the beginning when the parents past and she get offers a job in Manhattan. In 1984, it all starts. Check Out the promo below. Chile, Not Another 1 Bitting the Dust! "Radio show Living it Up Friday's with myself back on www.blogtalkradio.com/mstra-thatgem at 10pm."